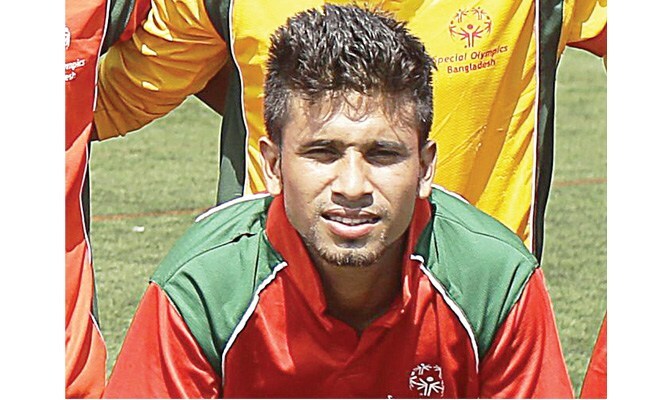 Missing Rezwanul, a member of Bangladesh Special Olympics team, was found safe with his relatives in Akron on Tuesday, reports Chicago Tribune citing police. Rezwanul Haque, 22, went missing on July 19 after leaving the Gold Coast hotel where he was staying, prompting a search that lasted until early Tuesday evening when Akron police located him at the home of some family members. “It looks like he just came here and hooked up with family members,” Lt. Rick Edwards, spokesman for the Akron Police Department, said Wednesday. Edwards said that Chicago police investigators contacted the department about 3 pm Tuesday and asked them to go to an address to see whether Rezwanul was there. When they arrived, officers were told by the family that he was not there. About 6:30 pm, they returned for another check at the request of Chicago police investigators. Edwards said that he did not know whether Rezwanul had made plans to visit his relatives or whether it was a spur-of-the-moment decision. He also did not know how he arranged travel to Akron, which is approximately 360 miles east of Chicago. Meanwhile, Monir Choudhury, the honorary consulate general for Bangladesh in Chicago, on Tuesday said he had spoken with Akron police officials and was glad to hear that Rezwanul was found safe and sound. Monir Choudhury said he was still trying to speak with the athlete to learn more about the reason he left Chicago, reports the newspaper. “Until I speak with someone, I cannot give any information because I just don’t know,” he said. In the 2015 Special Olympics, Rezwanul won a gold medal in men’s singles badminton, according to a statement from Special Olympics International.